THE PHILLIES MINOR LEAGUE ROSTERS HAVE BEEN POSTED! 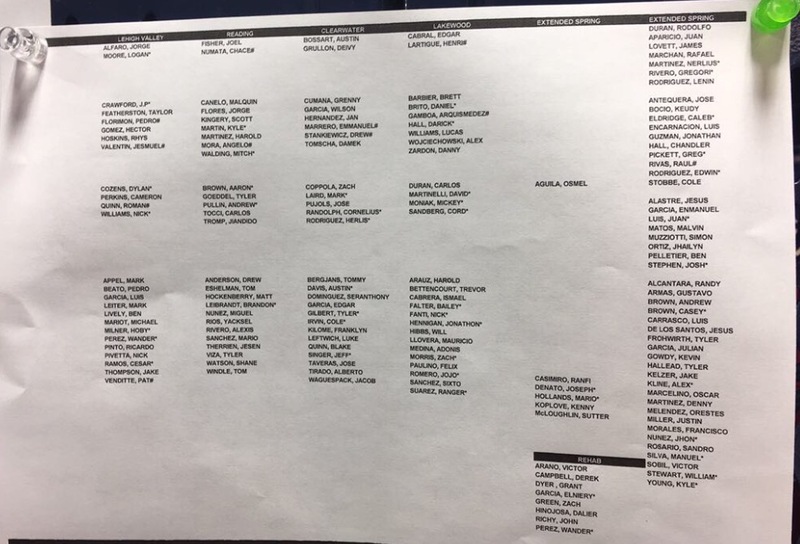 Thanks to a dear friend, I have a copy of the newly posted final rosters! I have not had time to go over them and see who was released. Hey guys, we’re just 6 days from MILB opening day and soon all of the parent clubs will be releasing there official rosters. I believe it’s legit even though nothing officially has been released. I wanted to reblog it and I’ll dive into this in more detail tomorrow. Cheers! Chandler hall is no longer playing he announced on his Facebook page that he retired.